According to the magazine, Health, a study on stress and meditation found that 77% of highly stressed people were able to lower their blood pressure simply by using meditative practices to calm down. Moreover, another study found that women with premenstrual syndrome (PMS) experienced a 58% improvement in their symptoms after mediating daily for 5 months (Meditation Loft, 2014) Why is meditation so great? Well, because it can effectively reduce stress. What are the symptoms of anxiety and stress? Well - There are many, but you can generally consider feelings of fear and general emotional overdrive to be two of the basics. Stress occurs when you focus the majority of your mental energy on worrying about the issues in your life. It also stems from fretting over past events and/or future possibilities. More specifically, stress arises when your mind gets “stuck” on issues and problems. Worries take over your mind and you find it hard to concentrate on anything else. The key to getting out of this “rut” is to focus on the present. And, what is a good way to do this challenging task? Well, by meditating, of course. If you are wondering how to reduce your stress through meditation, you have come to the right place. 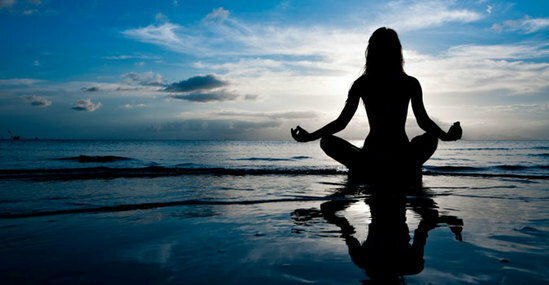 This article will teach you how to find peace and relaxation through meditation. Meditative techniques have been practiced for thousands of years. It was originally created to help deepen one’s understanding of life (i.e. purpose, meaning, and sacred life forces).Today, meditation is most commonly used to reduce stress, ease pain, and improve one’s quality of life. It is also used for relaxation, focus, and concentration. This stress management technique complements many prescribed treatment plans as it is aimed at reaffirming your mind-body connection. According to the National Center for Complementary and Alternative Medicine (2014) meditation is beneficial because of its ability to help you achieve a deeper state of relaxation and a calm, relaxed state of mind. While meditating your mind focuses on eliminating the stream of negative, muddled thoughts that crowd consciousness and cause anxiety, stress, and tension. The ultimate benefit of meditation is that it can improve your physical, emotional, and mental health and well-being. Guided Meditation - During guided meditation you form mental images (i.e. places and/or situations) that are peaceful and relaxing. Mantra Meditation - During mantra meditation you silently repeat a soothing word, thought, or phrase (i.e. happy, I am stress-free, or I am strong) to prevent negative and intrusive thoughts. Mindfulness Meditation - During mindfulness meditation, you focus on being mindful, and/or having an increased awareness of your present situation, thoughts, and physical sensations. In other words, you focus on the present, not the past. Qi Qong –During Qi Qong, you combine relaxation, physical movements, and breathing exercises with meditation to restore and maintain your balance. Tai Chi (a mild form of martial arts) - During Tai chi, you perform a series of slow, graceful self-paced postures (movements) while breathing deeply. Transcendental Meditation - During transcendental meditation you close your eyes and silently repeat a personally assigned mantra (i.e. word, sound, and/or phrase) until your stress has subsided. Yoga - During yoga, you perform a variety of postures (movements), while controlling your breathing. The purpose of this technique is to promote a calm, peaceful mind, and a flexible body. According to the Centers for Disease Control and Prevention (2014) meditation can improve your physical and emotional health and well-being by providing you with a sense of peace, tranquility and balance. And best of all these benefits do not leave once the session ends. No, the benefits of meditation continue throughout your day, helping you deal with stressful, difficult, and challenging situations in a calm, peaceful, and positive manner. 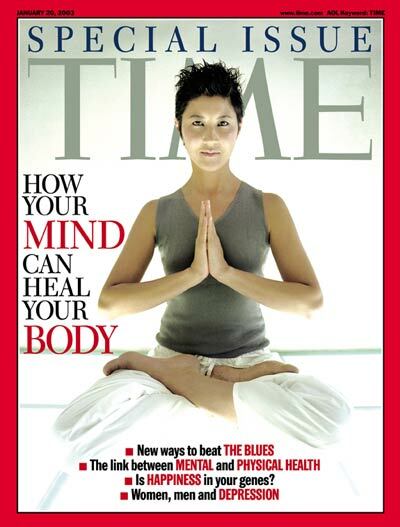 Mediating helps you to eliminate negative and unhealthy thoughts that elevate your stress levels. Set the Mood: You can reduce your stress and find peace and tranquility by setting the mood. Roll out your yoga mat and light a couple of aromatherapy candles. Turn on some relaxing music (i.e. jazz, classical, instrumental, and/or soft R&B), and lower the lights. Setting the mood will help you prepare for your meditation session. Get into Position: If you want to reduce your stress through meditation, you will need to sit on your yoga mat and cross your legs (i.e. Indian style). Place your back against a wall. Try to keep your back as straight as possible. Place your hands (palms up) on your knees. Touch your index fingers to your thumbs – making an “okay” symbol. Breathe Deeply: Yes, if you want to reduce your stress level, you will want to close your eyes and breathe deeply, during meditation. Focus on your breathing (as you fill your lungs up with air). Hold your breath for a second or two, and slowly exhale. Repeat this exercise until your stress dissipates, and your body relaxes. Visualize Images: Visualizing images can help reduce your stress. Close your eyes and visualize a place, person or object that makes you feel happy, calm, peaceful and safe. For example, picture a butterfly, your mother, a flower, a beach, your children or pets, your last vacation, etc. Concentrate on this image. Push aside any intrusive thoughts that try to creep into your mind, and return your attention to your image. Breathe deeply throughout the meditation session. Picture your stress leaving your body. Repeat this exercise until you feel calmer and more at peace. Over the years, dare I say over four decades. (Pause. Sorry I choked on that reality.) I have found that I have often practiced meditation without being encouraged or instructed to do so. I believe that on many occasions our body, mind, and soul will guide us to meditate for our personal health and wellbeing. What are the symptoms of anxiety and stress? I agree - What more are they other than signals that our lives need to change immediately? What are the symptoms of anxiety and stress? Well, if you are like me, you may have trouble shutting down your brain to actually rest. I often cannot mentally put down the work or worries of my day to allow my mind, body, or soul to reinvigorate. This inability to let go, even temporarily, has caused me a myriad of health concerns. High Blood pressure, Type 2 Diabetes, and insomnia just to name a few. However, through my experiences I have found at least one way that I can fight the worries of my world. I have personally realized that when I am at a point of extreme fatigue or exhaustion that I do not have to take a nap or go to sleep every time I need to recover. I can take some time to relax my body in a recline position without interference. No interference from the electronic devices that so often monopolizes our every action. No interference even from family or friends. Reclining, closing my eyes, relaxing my breathing, and clearing my brain will refresh my whole-being most quickly and usually more effectively than even slumber.